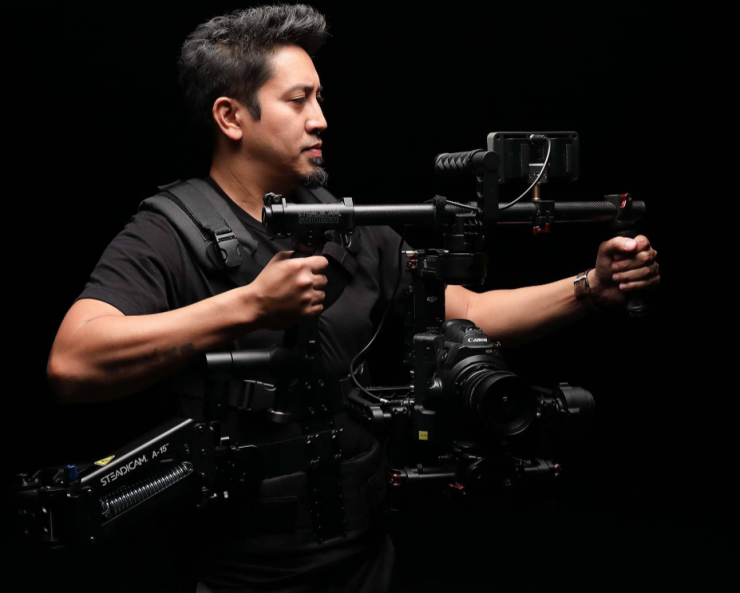 Tiffen has just announced the Steadimate-S to its Steadicam line of camera stabilizers. 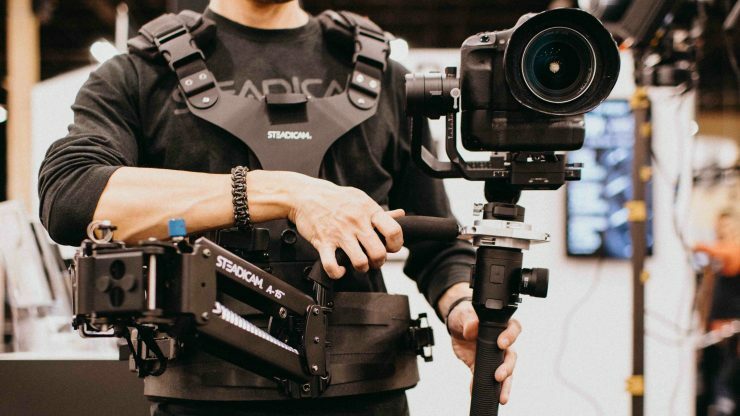 The Steadicam Steadimate-S was designed to allow camera operators to use single-handed motorized stabilizers like the DJI Ronin-S for longer periods of time. 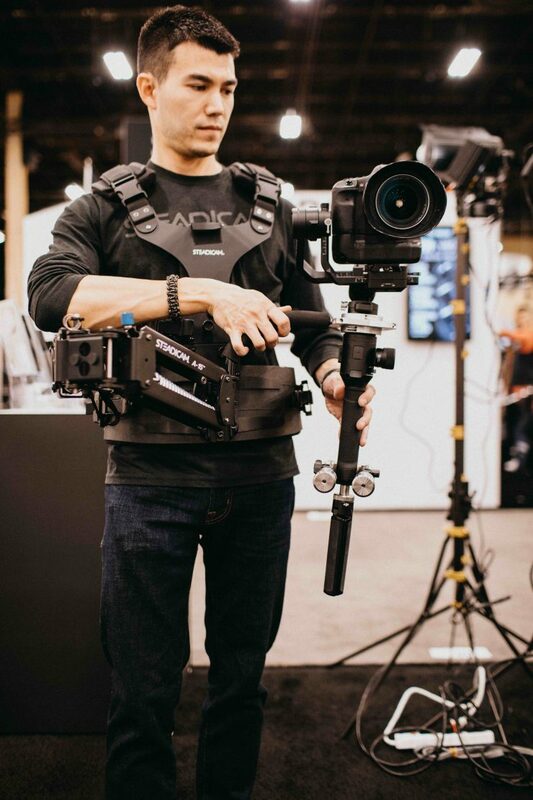 By pairing a single-handed stabilizer with a body-worn stabilizer the DJI Ronin-S can be operated for hours with minimal physical fatigue while maintaining a wide range of vertical movement and adding full panning ability and “low-mode” operation. The Steadimate-S also helps minimize or completely eliminate the bouncing effect that often occurs when using single-handled stabilizers. 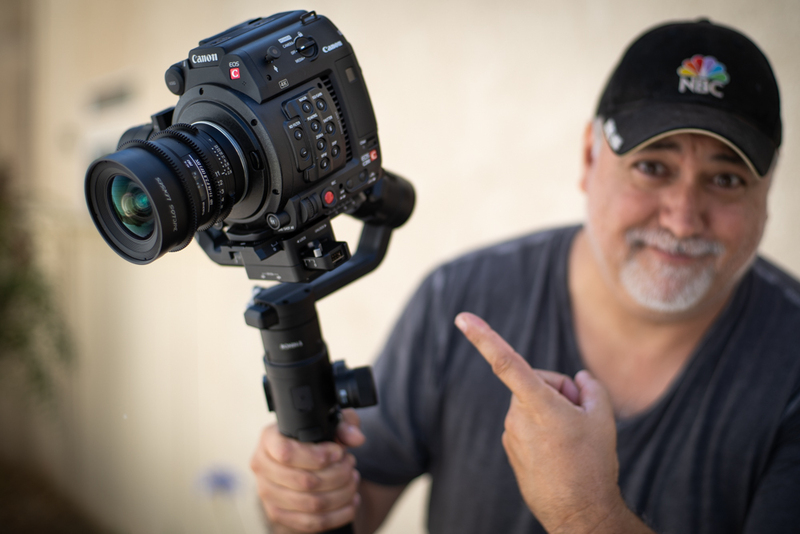 It does this by providing x-axis and y-axis stabilization while the Steadicam arm provides z-axis stabilization. By adding a Steadimate-S to your single handed gimbal Tiffen claims that you easily and affordably transform a your motorized gimbal into a professional video stabilization system. 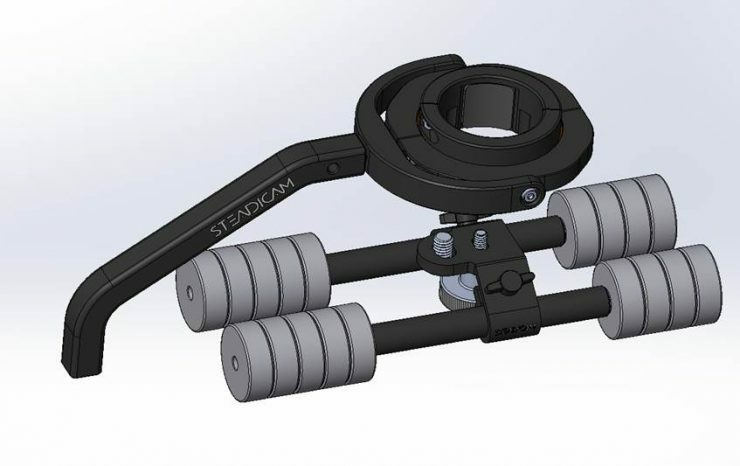 Tiffen already makes the Steadicam Steadimate which is exactly the same concept as the Steadimate-S. 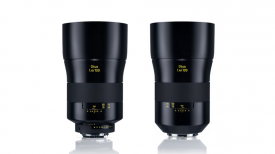 The only real difference is that it is designed for use with double handle gimbals such as the DJI Ronin and Freefly MōVi. If you want to see how this concept works watch the video for the Steadicam Steadimate above. Does it really make sense to use a Stedicam-S with a single handed gimbal? Well, I think that depends on what you are doing with your gimbal and what camera you using. 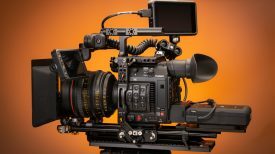 If you are using larger cameras such as a Canon C200 on a Ronin-S and you want to use that combination for an extended period of time, the yes, I think it does make sense. 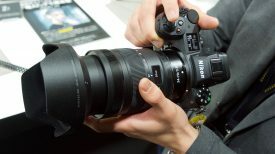 However, if you are just running a DSLR or mirrorless camera on your gimbal then it is probably over kill. I think the whole reason people purchase a single handed gimbal in the first place is so it can be used easily and quickly. They also want something that doesn’t take up much space in a bag. As soon as you start adding vests and arms to the equation it sort of defeats the purpose of buying a smaller gimbal in the first place. The Steadimate-S comes standard with a post block and balance pin that fits arms with 1/2″ posts. The weight capacity varies depending on the single-handed stabilizer, arm, and vest being used. The Steadimate-S adapter can be purchased on its own for use with existing arms and vests, or as a complete kit available in two weight classes. The Steadimate-S 15 System comes with the A-15 Arm & Scout Vest and offers a 15 lbs./6.8 kg weight capacity, while the Steadimate-S 30 System comes with the A-30 Arm & Zephyr Vest and boasts a 30 lbs./13.6 kg capacity. 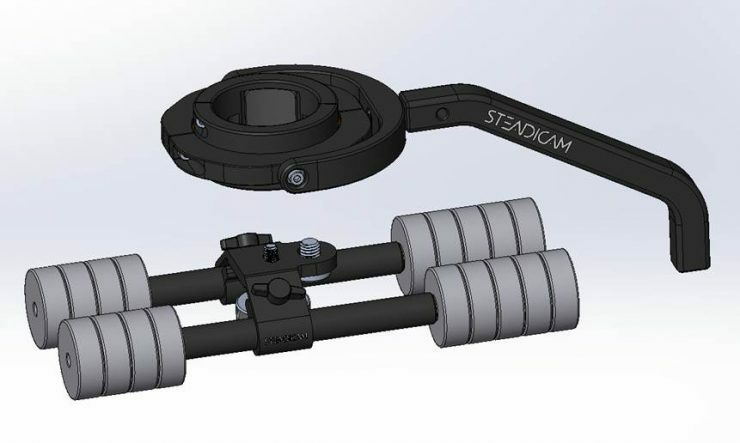 There is currently no indication of pricing and availability for the Tiffen Steadimate-S. As a reference the Steadicam Steadimate 30 Support System for Motorized Gimbals retails for $2,995.00 USD.